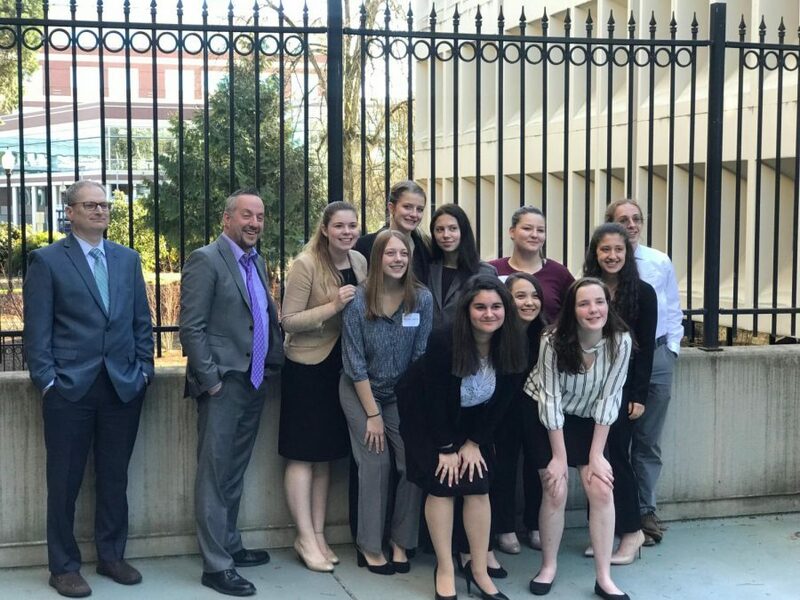 The YC Mock Trial team at regionals, where they placed 10th out 17 teams. Back, Left to right: Rob Nichols, Matt Opitz, Emma Prine, Kate Gomes, Gabrielle Chambers, Grace Ingram, and Wesley Brewer. Front, Left to right: Julie Easton, Angelique Calhoon, Paula Jung, Madison Stryffeler, and Grace Armstrong.